The town of Boquete (pronounced bow-keh-tay) is nestled in the highlands of the fertile province of Chiriquí in western Panama. It’s a town of about 6,000 people and a retirement haven for expats looking for a simpler lifestyle. English is commonly spoken and many International Living readers have already relocated there.Boquete is a microcosm of bliss. Flowers of kaleidoscopic colors blanket the hills and towering mountains form breath-taking vistas. In the distance you can see the stunning Volcán Barú rising up through the misty clouds while the Rio Caldera flows through the town, soothing residents and visitors with its gurgling sound.Because of its location in the mountains, Boquete enjoys a cool climate, and this draws Panamanians and expats alike to this gem. Due to the elevation, daytime temperatures are generally in the 70s F and 80s F, with cooler nights. The spring-like weather makes Boquete ideal for full-time residents and snow-birders alike. 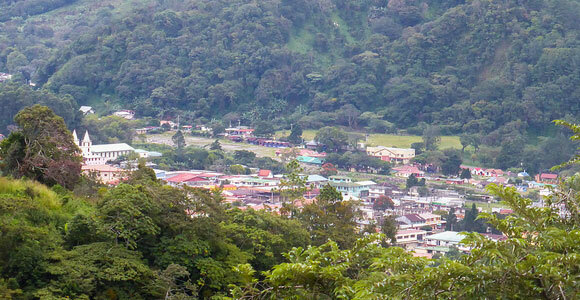 Boquete is only 40 minutes from David, Panama’s third-largest city, via a four-lane highway. David is the commercial hub of the region, with many shopping options, all the services you might need, government offices, and medical providers. Two top-rate private hospitals offer affordable and accessible healthcare to residents of Boquete and all of Chiriquí Province. People who live in Boquete also love the fact that the beach is only about an hour away. The Gulf of Chiriquí forms the southern border of Chiriquí Province, and several beach areas beckon those seeking fun in the sun and sand. It’s easy to grab your swimsuit, pack up your cooler, and head to one of the beaches for the day. As is typical in the Chiriquí region, agriculture remains important to the local economy. Rich, aromatic coffee beans are grown here on farms known as fincas that dot the hillsides. Citrus is another major crop, with orange groves among the slopes. 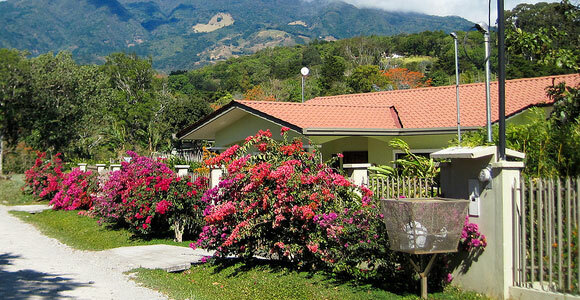 Boquete has a well-established expat population and is one of Panama’s top expat destinations. With all it has to offer it’s easy to see why. Near-perfect climate, gorgeous natural surroundings, healthy lifestyle options, and a near-endless variety of social events and activities…it might be perfect for you. Boquete has long been considered one of the top places in the world to retire…and rightly so. Thousands of contented expats already enjoy a laidback, low-cost life in the area—surrounded by abundant wildlife, brightly colored orchids, and fertile farmland. Resting in a bowl-shaped hollow, the town itself remains a small highland hamlet. But despite its size, Boquete has modern grocery stores, pharmacies, banks, bakeries, hardware and clothing stores, a library, and a gym. Nature-lovers and outdoors enthusiasts will find hiking trails through the forest… pristine waterfalls… an ancient volcano… and treetops full of birds. One of the biggest benefits of living in Boquete is being able to take advantage of Panama’s Pensionado program—the best program of its kind in the world. To qualify, you simply must draw a pension of at least $1,000 per month, and a host of discounts on your daily living expenses will be available to you. Pensionados are entitled to 15% off hospital and doctor bills; 25% off airline tickets and restaurants; 30% off bus, boat, and train fares; and 50% off entertainment—movies, theater, sports, and concerts—and hotel stays. The discounts make a real difference for many retirees, who see their retirement income stretch farther and can enjoy a higher quality of daily life—like eating out regularly at Boquete’s wide range of restaurants. For a bargain lunch, stop at a family-owned eatery where you’ll fill up on a plate heaped with meat or fish, rice, beans, and salad for about $4. If it’s music, art, and culture you’re looking for then this little town certainly won’t disappoint. In recent years, Boquete has become the cultural hub of western Panama. Retirees looking to get creative can enroll in one of the many drawing and painting classes, join a photography club, or check out the frequent art exhibits at the Boquete Public Library. Civic groups, social organizations and volunteer services have a huge presence in Boquete as well. Locals and expats work side-by-side in the Rotary and Lions Club, and to raise funds for groups that help children, families, and animals in the community. You can also relax with some golf at the luxurious Valle Escondido Resort or Lucero Country Club. For some personal pampering, choose from several world-class, full service spas that offer therapeutic massages, fitness programs, and beauty treatments. Many retirees say they feel better after living in Boquete for a time. For some, their less stressful lifestyle means they need less medication. For others, being active year-round means losing weight is easy. There is a cultural vibe to affairs in Boquete. Painters, musicians, photographers, actors, artists, and crafters will all feel welcome in this highland town. The district of Boquete has a population of around 20,000, but the town proper retains a relaxed, small-town feel. Everything is more cheerful and natural. The smiling locals—or boqueteños—in their traditional garments and hats, share the town with expats, tourists, and retirees. Every February the community comes together to host the Boquete Jazz and Blues Festival, a five-day event that brings performers from around the world. The renowned music festival is a lively event that takes place in various venues around town, both indoors and out. Among them is the Boquete Community Players Theater, home to concerts, plays, and a busy weekly market. 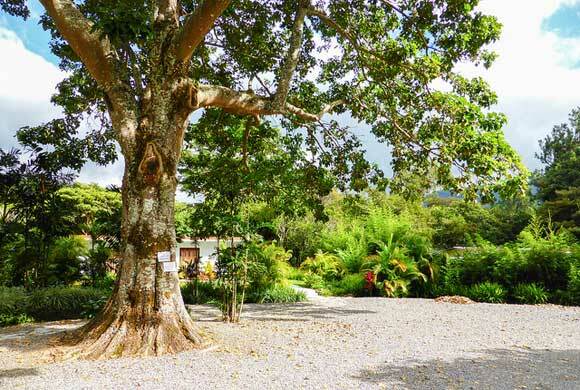 Activities in this part of the world are more pastoral, making for a relaxed lifestyle in Boquete. 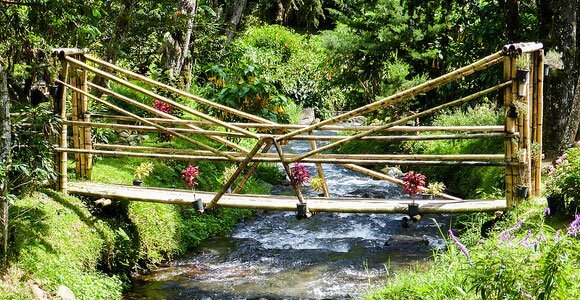 You can take tours of the coffee plantations, go horse-riding, white-water rafting on the Rio Caldera, bird-watching, or orchid spotting. Hiking is a favorite activity, and with a guide you can reach the summit of Barú Volcano, Panama’s highest peak and only volcano. Many who choose to live here report that their health improves as a result of their active lifestyle and outdoor pursuits, which they enjoy all year-round. The highland town has also become a focal point for foodies and alternative health aficionados. Numerous small businesses offer delicious delicacies, such as European-style breads, hand-made chocolates, locally-sourced honeys, organically produced smoked sausages, and more. There’s even a micro-brewery in town. To help maintain your healthy lifestyle you may visit one of Boquete’s world-class spas for a massage, facial treatment, or other personal pampering session. You’ll find classes in yoga, Pilates, Zumba, and tai-chi, as well as balance training and chiropractics. Those seeking spiritual experiences, life coaching, or personal guidance and enrichment will find plenty of opportunities within the Boquete community. And while you can manage without speaking Spanish in this part of Panama, if you choose to study the language there are a variety of options available. There are two full-fledged Spanish schools in Boquete as well as private tutors and classes. Making the effort to communicate in the local language and being able to have a simple conversation can enhance your life experiences greatly. Boquete has long been a popular destination for nationals and foreigners, and so there are many options for accommodation and eating out. From quaint hostels to boutique hotels, visitors can choose the perfect place to stay. There are many restaurants to sample in and around town as well. You can fill up on a hearty tipico (typical) meal of roasted chicken, with rice, beans, and a salad for a few dollars. A number of mid-range choices offer burgers, pizza, sandwiches, and soups. For a special occasion, you’ll find dining rooms serving French, Peruvian, international, and fusion cuisine with excellent wines. What many retirees and expats soon discover about Boquete is that your lifestyle choices are almost unlimited. Maybe you prefer quiet days at home, away from the noise, looking out at the lush scenery. Maybe you love to be busy, taking part in events and activities every day. Or maybe your sweet spot is somewhere in between. Whatever it is, you’ll find it in Boquete. Although prices have risen in tandem with growing popularity, real estate in Boquete is still affordable. Because it has been a popular location for a number of years there is a wide variety of real estate available. The town has both modern housing and traditional brightly-painted wooden cabins as accommodation. Property listings reveal plenty of choices in locations in and around Boquete with a broad range of prices. With the help of a reputable realtor and a little patience you can find some good real estate values. For instance, a three-bedroom, two-bath house in one of Boquete’s most desirable areas can be found for $187,000. A house here will offer views of the volcano and a nice backyard patio. A similar sized property at a higher elevation, with half an acre of land overlooking the town, will set you back about $350,000. If you prefer a low-maintenance option you’ll find nice condominium selections here, too. Just outside of town in a desirable neighborhood there are two-bedroom, two-bathroom, fully furnished condos that can be bought for between $116,000 to $130,000, with monthly fees of just $50. Keep in mind that many household expenses are low in Boquete, so your cost of living is low, too. In the highlands you won’t pay any heating or air conditioning bills. Many newer homes are exempt from property taxes for a number of years. Homeowner’s insurance is affordable, and there are no hurricanes. Household help, such as a gardener or housekeeper, is affordable as well, so you have more time to enjoy your new home. Many newcomers prefer to rent for a time, and the good news is that you can rent a house for as little as $650 a month in and around Boquete. Of course, there are many luxury homes in the highlands, too—custom-built homes with all the extras you could possibly want. For $540,000 you can own a four-bedroom, three-bathroom home in one of Boquete’s most prestigious gated communities, complete with a golf course, tennis and spa. When it comes to finding a place to live, there’s something for every budget in Boquete. One of the best things about living in Boquete is the climate…just ask the people who live there. Some call it “eternal springtime”, while others just call it perfect. Elevation is the key to Boquete’s exceptional climate. Situated on the eastern-facing slope of Barú Volcano some 3,900 feet above sea level, it’s one of Panama’s sought-after highland destinations. 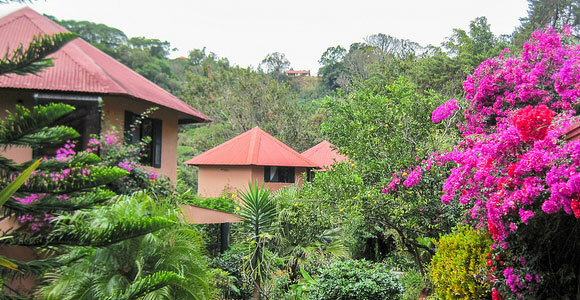 Several towns located along the Cordillero Central mountain range share cooler temperatures and abundant rain, resulting in lush, colorful foliage. Another feature of these highland hamlets is the bajareque—a gentle mist that settles on the hills, often followed by a rainbow. Lower elevation towns such as David may be five- to 10-degrees warmer and noticeably dryer than Boquete and her sister highland locales. The temperature range in and around Boquete is stable throughout the year. The average low temperature hovers around 60 F, with extremes of 56 F and 62 F. High temperatures range from 79 F to 87 F yielding an average of 83 F. These comfortable temperatures are the reason so many expats and retirees settle in Boquete. A blanket may feel cozy on chilly nights, and a ceiling fan will keep the air moving on warm days. But most homes have no heating or air conditioning, keeping utility bills low. This lack of extremes is a real benefit in Boquete. It sits outside the hurricane zone so it’s safe for boats of all sizes. Of course there’s no snow, freezing rain, or ice, so there’s no need to worry about bursting pipes, blizzards, spring thaws, or collapsing roofs. While rain is common, tornadoes are rare and the most severe weather likely to occur in Boquete is a thunder and lightning storm. The Barú Volcano in Chiriquí province of western Panama is the country’s highest peak at 11,400 feet, and its only volcano. The imposing mountain is now dormant and poses no current threat. However, being along the Pacific Rim means the country does have occasional earthquakes, mostly centered off its southern coast. Rather than having four distinct seasons, in Boquete the year is divided into just two seasons. Summertime starts in December and runs through April. This is the dry season, with less rainfall and more wind. Wintertime starts in May and extends through November, with more frequent rain and cloud cover. Though heavy downpours do occur at times, fortunately, Panama does not have a monsoon season as in some Asian countries. Even during the rainy season there’s plenty of sunshine. Many days start out bright and clear, with crisp, blue skies and clean, white clouds. Morning is the time to get your chores and errands done. Later in the day the clouds gather, the light fades, and the rain arrives. It may last for hours or for minutes…it may be a drizzle or a deluge…but it cools the air and nourishes the earth. And it’s not just the food prices that are low…no matter where you’re originally from, you’re likely to save here on everything from gas for cooking, to hired help, to power costs (thanks to the perfect climate). One expat says that his cost of living in Boquete has ranged between 30% and 40% what it was back home, on the California Gold Coast.